There are many interesting events coming up in the next two weeks, with visits to London by journalist Frederike Geerdink and Janet Biehl, author and activist, as well as a mass mobilisation on 1st November. See our Events page for more details. PKK (Kurdistan Worker’s Party) Central Committee has released a statement about the massacre in Turkish capital Ankara which left a hundred people dead and as many wounded. PKK said the massacre was perpetrated by AKP as part of the war waged against Kurdish Freedom Movement and Turkey’s democracy forces with an aim to suppress and eliminate them. Describing the massacre as the last circle of attacks of the Turkish state’s special war system against the Kurdish people and democratic-socialist forces, and the deadliest one in the history of the peoples’ struggle for democracy and freedom. PKK underlined that the actual perpetrator of the massacre was AKP although it made an attempt to put the blame on ISIS to cover up its own involvement. Turkish Armed Forces have shelled the cemeteries of Kurdish freedom fighters in Lice, on Mount Cudi and Mount Herekol. KCK (Kurdistan Communities Union) Executive Council Co-Presidency has two days ago declared inaction on condition that no attacks are carried out against the Kurdish movement, people and guerrilla forces. KCK said that; “During this process, our guerrilla forces will avoid conducting planned actions, will be engaged in no activities apart from maintaining its current position, and make no attempts to hinder or harm the exercise of a fair and equal election.” The Kurdish movement’s step as an answer to the peoples’ demand for peace, was responded by the Turkish state with the massacre in Ankara, and then bombardmenta against three cemeteries of guerrillas in the Kurdish region. 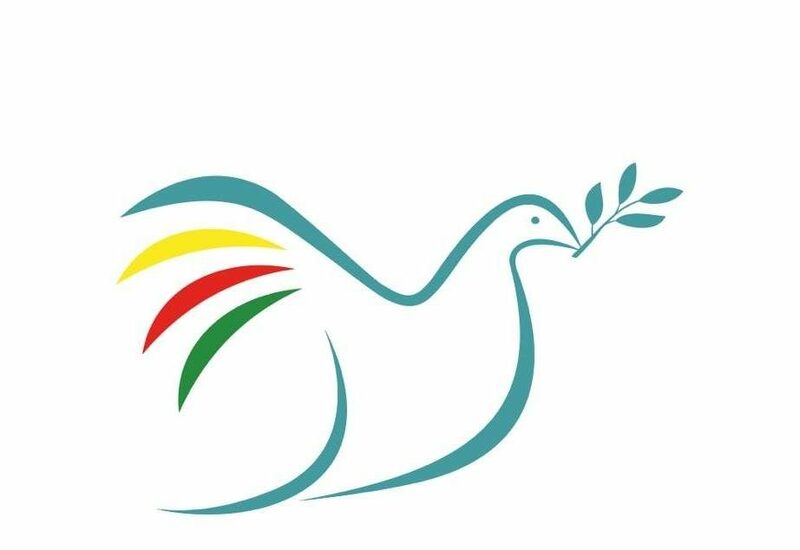 The Kurdistan Workers Party (PKK) announced a unilateral ceasefire on Saturday, 10 October 2015, underlining that with this announcement they react to the calls of a number of civil society organizations, international organizations and forces. The Turkish government immediately rejected the ceasefire. Turkey is going to hold re-elections on 1 November 2015. The AKP government tried to misuse the clashes between Kurdish guerilla forces and the Turkish army for the prevention of democratic elections in Kurdish towns. The PKK declared that with this unilateral ceasefire it aims to give the pro-Kurdish People’s Democratic Party (HDP) the necessary support for elections. Pro-Kurdish Peoples’ Democratic Party (HDP) Co-chairman Selahattin Demirtas has confirmed the allegations that a group of militants affiliated with the Islamic State (IS) recently infiltrated Turkey aiming to assassinate him. “We received intelligence from reliable sources that there were plans to plot an assassination against me. We have tried to tighten security and of course share this information with the authorities. But it [the government] is busy protecting IS rather than us,” Demirtas told the press on Wednesday. Ruspis Assembly of Arab Tribes in Jazeera (Cizîr) Canton in Syrian Kurdistan has condemned the Amnesty International over its report on alleged “forced displacement and home demolitions suffered by civilians under the de facto control of the Autonomous Kurdish Administration led by the Partiya Yekîtiya Demokrat (Democratic Union Party, PYD)”. The Assembly said the Amnesty International report was partial and based on a lie distorting the truths. I am writing in protest at the publication of a report from your organisation called ‘We had nowhere else to go – Forced displacement and demolitions in Northern Syria’. As a British humanitarian who has spent 5 and half months with the YPG in Rojava, I’m utterly bemused by your 32 page report published Oct 2015. I feel compelled to write this letter on behalf of the hundreds of foreign volunteers that have joined the YPG and the YPJ. Who are not only fighting on the frontline but are working hard alongside the Kurds in the hospitals and in the refugee camps. In an exclusive interview, Sipan Hemo, General Commander of the YPG comments on variety of issues. Below are the large summary of his remarks: After the Russian intervention the balance of power has changed, actors have changed. This happened a bit quickly. The change is also reflected on the ground. Large assaults and fierce battles are now taking place around Hama and Idlib. Regime forces are being air covered by Russian warplanes. And around Aleppo, ISIS is taking the advantage and making territorial progress against so called moderate Islamist factions or FSA brigades. So these Islamist forces are now face to face with a breakdown in terms of morale, as they are losing territory. A Kurdish militia that has been fighting Islamic State in Syria with help from U.S.-led air strikes has joined forces with a number of Arab groups in a new military alliance announced on Monday. The alliance calling itself the Democratic Forces of Syria includes the Kurdish YPG militia and Syrian Arab groups, some of which fought alongside it in a campaign that drove Islamic State from wide areas of northern Syria this year. A Kurdish official said he hoped the alliance would garner more support from the U.S.-led coalition fighting Islamic State. The British Broadcasting Corporation (BBC) and mainstream media in general has a tendency to cover events in Turkey without going into much detail as to what happened on the ground, says Sarhand Hars, Kurdish London-based correspondent for NRT TV. On Sunday, Kurdish protesters marched through Central London, demanding an end to what they called “state terror” in Turkey. The march continued on to the BBC headquarters. The demonstrators accused the organization of reporting in favor of the Turkish government on the twin blasts that ripped through a peace rally claiming the lives of 128 people. A Scottish delegation of trade unionists and human rights activists has returned from Kurdish areas racked by bombings, political repression and a refugee crisis. “Kurdistan could be one of the 21st century’s greatest triumphs, or worst tragedies,” says Sarah Collins, a Unison activist just returned from Kurdish areas in the South of Turkey. 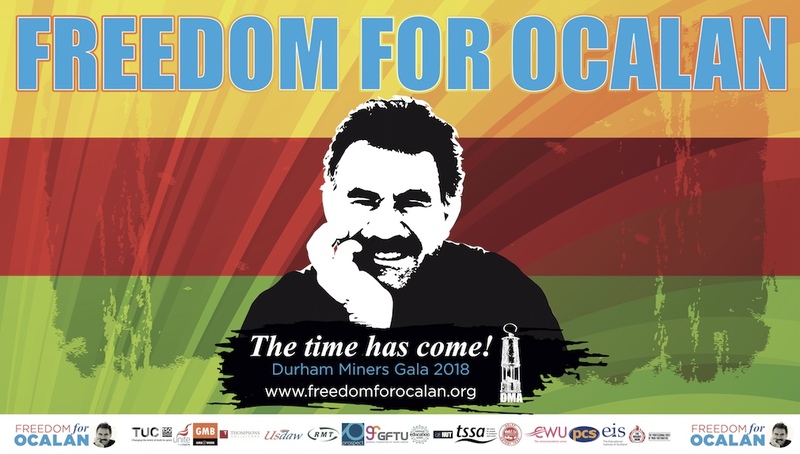 A delegation of Scottish trade unionists and human rights activists, including Collins and Roza Salih, a Kurdish Scot from Northern Iraq and one of the famous ‘Glasgow Girls’, have just returned from Diyarbakir. A series of promises the European Union has made to Turkish President Recep Tayyip Erdoğan in return for Turkish cooperation in stemming the flow of refugees to European countries may give rise to the impression that the 27-nation bloc supports the Turkish government’s “irresponsible politics” just weeks before a parliamentary election, the co-president of the European Greens said on Friday. European Council President Donald Tusk’s warning to Turkey that it will only win concessions from the EU, such as fast-tracked travel visas, if it successfully reduces the flow of refugees reaching Europe has drawn reaction from the European Parliament. “Who do we think we are? If we are dealing with over 160,000 refugees for settlement, who are we to point fingers at Turkey that hosts 2 million refugees?” the European Parliament’s rapporteur for Turkey, Kati Piri, told the Hürriyet Daily News on Oct. 14. Turkey has summoned separately the American and Russian ambassadors in Ankara to complain about their countries acting in support of the military forces of the Syrian Kurds who are fighting Isis. The Turkish government’s alarm underlines its problem in fighting a guerrilla war against the Kurdistan Workers’ Party (PKK) in Turkey at a time when the US and Russia, while rivals in every other respect, are both supporting the local branch of the PKK in Syria. Turkey has warned the United States and Russia it will not tolerate Kurdish territorial gains by Kurdish militia close to its frontiers in north-western Syria, two senior officials said. “This is clear cut for us and there is no joking about it,” one official said of the possibility of Syrian Kurdish militia crossing the Euphrates to extend control along Turkish borders from Iraq’s Kurdistan region towards the Mediterranean coast. Cengiz Candar: Turkish Prime Minister Ahmet Davutoglu was believed to have charmed his international audience while he served as the foreign minister under Recep Tayyip Erdogan’s leadership from 2009 to 2014. His image was that of an impressive academic with original ideas on international affairs to which he introduced insightful analyses. But Davutoglu, since the time he was handpicked by Erdogan to occupy the post Erdogan would vacate to climb up to the presidency, has increasingly become the object of criticism, sometimes harshly personal, even contesting his intellectual credentials. Memed Aksoy: The terrible twin suicide bomb attacks at a peace rally in Ankara, which claimed the lives of at least 100 peace activists, continue to make international headlines. Since then, the ruling AKP government has sought to use the tragedy to further its own narrative. They have done so with the support of their analysts, political commentators, news outlets and social media trolls and, unsurprisingly, the bulk of the international media. Under this analysis, the attack targeted the unity and stability of the Turkish state – meaning the AKP government. By extension, it has sought to draw parallels between this terrorist attack, which has been attributed to Islamic State (Isis), and recent attacks by the Kurdistan Workers’ Party (PKK). Once the poster-child of Muslim democracy, Turkey now seems vulnerable to the internal divisions that have plagued Iraq and Syria over the past decade. Like most Turks, I spent part of the weekend weeping over the smiling faces of activists who attended the peace rally in Turkey’s capital on Sunday and are now dead. There was the selfie by the five railroad workers, the newly married couple, the nine-year-old kid who insisted on accompanying his father, a woman who was running for a parliamentary seat in the November 1 elections, and a beautiful dark haired Kurdish student who posed at the front of the bus with all her fellow activists. They were among the 105 people who lost their lives in Ankara — the deadliest terrorist attack in Turkey’s history. Amberin Zaman: In most countries, a tragedy of the scale just experienced by Turkey would unite its citizens. On Oct. 10, a pair of unidentified suicide bombers targeted a peace rally organized by ethnic Kurds and trade unionists in the Turkish capital of Ankara. At least 97 people were killed and scores of others wounded, making it the deadliest terrorist attack in Turkey’s modern history. Yet when soccer fans in the conservative city of Konya were asked to observe a minute of silence to honor the victims before a national team game against Iceland, many whistled and booed. Saturday’s attacks on a peace demonstration in Ankara, which caused the deaths of over one hundred people and injured many more, have once again exposed the deep ruptures that continue to dominate Turkey’s social and political landscape. At 10:04am two explosions, mere seconds apart, rocked a crowd of protesters who had gathered in front of the capital’s train station in preparation for a big peace rally planned later that day. The explosions instantly killed dozens of people – the current death toll as announced by the pro-Kurdish Peoples’ Democratic Party (HDP) stands at 128 – while injuring almost two hundred others. There is something fundamentally wrong with the journalistic coverage of the twin blasts at a peace rally in Ankara – the deadliest terror attack on Turkish soil – which left more than a hundred people dead (128 according to the unofficial tally of the People’s Democracy Party, HDP) and several hundred wounded, and an almost ‘anomic’ country behind. As if writing a detective story or crime novel, most commentators begin by asking the ‘who’ question, religiously following the basic rules of the genre and creating suspense for the sensation-seeking audience – for the killer is usually unknown until well after the initial investigation is completed. Last weekend, the deadliest terrorism attack in modern Turkey’s history killed nearly 100 people who had gathered for a peace rally in Ankara, the capital. Tim Arango, a Times correspondent based in Istanbul, answers readers’ questions about the attack, the response by Turkey’s president, Recep Tayyip Erdogan, and the political situation in the country just weeks before snap parliamentary elections. The day after the recent massacre in Ankara, which killed at least 97 people and injured hundreds, twelve-year-old Helin Hasret Şen died. According to her father, she went out to get bread from a bakery shop close to their house and was shot in the head by police. 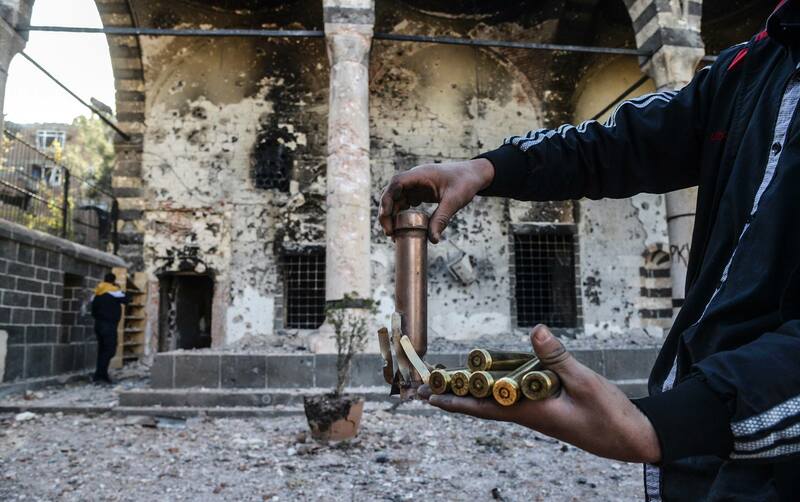 It happened in the Kurdish majority city of Diyarbakir, in a neighborhood where a curfew was declared a few days ago. Helin’s father vowed to take the state to court and to fight a legal battle until justice is done. Turkey, a key member of NATO, has so far chosen to sit out the war against ISIS. Instead, it is at war with Kurdish militias in Syria, the only ground forces so far that have managed to take on ISIS and win. Turkey fears and loathes Kurdish independence anywhere in the world more than it fears and loathes anything else. Kurdish independence in Syria, from Ankara’s point of view, could at a minimum escalate a three-decades-long conflict and at worst threaten Turkey’s territorial integrity. Turkey’s participation in the war against the Islamic State is just a myth as there is no confirmation of it, noted a Pakistani scholar Salman Rafi. In fact, Erdogan is fighting a war against the Kurds, who have shown their power in the last elections in Turkey and in the fight against ISIL militants. With pro-Kurdish Peoples’ Democratic Party (HDP) winning 80 parliamentary seats, Erdogan was left with no option but to negotiate with other parties to form a coalition government. Protestors in Sulaymaniyah (Kurdistan Region of Iraq) ask for end of KRG Cabinet & removal of all powers from President Masoud Barzani, Oct 2015. A capital city in Iraq is in turmoil. The government has been hit hard by collapsing oil prices and is under pressure from an array of activist groups to reveal the fate of missing oil revenues, and be far more transparent. At the helm is a man many have long accused of intimidation and close links to one of the worst dictators of modern times. This government is seen by some as a primary ally in the war against the so called Islamic State (ISIS or Daesh). Holed up in the resort once used by the dictator and tyrant Saddam Hussein is the man the west has grown accustomed to calling the opportunist, President of the Iraqi Kurdish Region, Masoud Barzani. Barzani has been accused by the opposition of living a life in luxury while his people faces an existential fight against the ISIS. Legitimately elected in 2005, Barzani who’s party continues to have a majority in Parliament has molded the rules to stay in power and yet even that seems to have dried up. It would seem it’s just a matter of time before he is forced to leave the Kurdish cause alone. State Terror Against The Kurdish People And All Supporters Of Peace, KNK Press Release, 10 October 2015. Green Party condemns Ankara bombing, 12 October 2015. RCG condemns Ankara massacre, 12 October 2015.